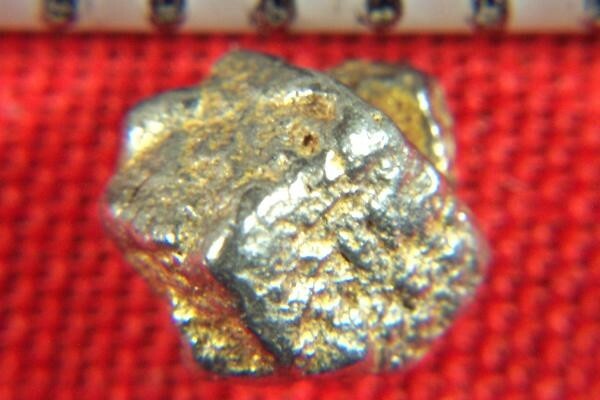 Very Rare Platinum Nugget Crystal Layered with Gold - - It's Free! A truly beautiful 15.6 Grain (1.01 Gram)(5.05 Carats) natural Platinum Nugget from Kondyer Massif, Russia. Occasionally on one of these platinum crystals, there will be a layer of gold covering the platinum. This is a natural occurrence but a very rare occurrence as you only ever see a very few of these nuggets layered with gold. On this nugget the gold has layered in the crevices and recesses of the nugget. Very unique and interesting. It is a multi crystal nugget and is just under 1/4" long and very fat. It has real nice angles and beautiful color. 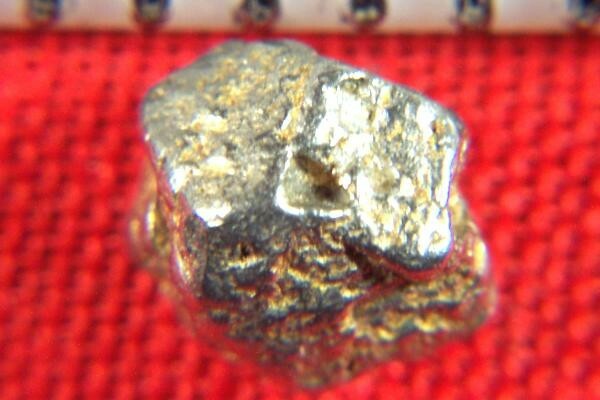 A truly fantastic Platinum Nugget. It comes with a location card authenticating the discovery location and certifying the fact that it is a natural platinum crystal nugget.